KUALA LUMPUR (Jan 7): Malaysia could be barred from hosting major table tennis events unless it gives Israel visas to compete in next month's world team championships, the sport's global body said on Thursday. 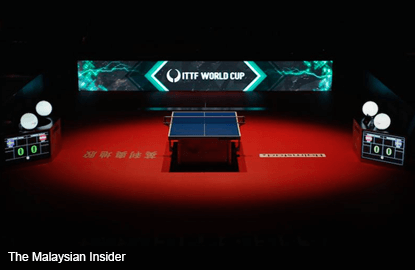 Judit Farago, CEO of the International Table Tennis Federation (ITTF), gave the warning as the results of the Israeli team's visa applications remain undecided. "If they deny visas, then Malaysia will not be awarded any world title events in the future by the ITTF," Farago told AFP by email. "The problem has not occurred yet, if it does, then the ITTF’s executive committee will discuss the situation and try to find solutions." Muslim-majority Malaysia has no diplomatic ties with Israel. The Jerusalem Post reported last week that the Israeli team had yet to obtain visas, despite working with Malaysian officials for months to solve the issue. A senior Table Tennis Association of Malaysia official told AFP on Thursday that it is also awaiting the results of Israel's visa applications. Reports said that even if the Israeli team is allowed to take part, their flag and anthem could be barred from the competition starting in late February. Israel missed last month's Youth Sailing World Championships in Malaysia, reportedly after a similar row over visas and flags. In 1997, when Israel played the International Cricket Council Trophy competition in Malaysia, hundreds of people took part in angry demonstrations. Protesters also took to the streets and burned Singapore and Israeli flags when the then Israeli president Chaim Herzog made an official visit to the neighbouring city-state in 1986.